The greatest problem a lot of Small to Medium-sized Businesses (SMBs) face is the fact that most team-building exercises and activities aren’t made for them. For a massive conglomerate, there’s nothing easier than organizing grand team-building activities and giving monetary incentives for those who keep up with them, however, most guides don’t bother with team-building on a budget. What these guides most commonly suggest is hiring the right people and then hoping that they just fit in. 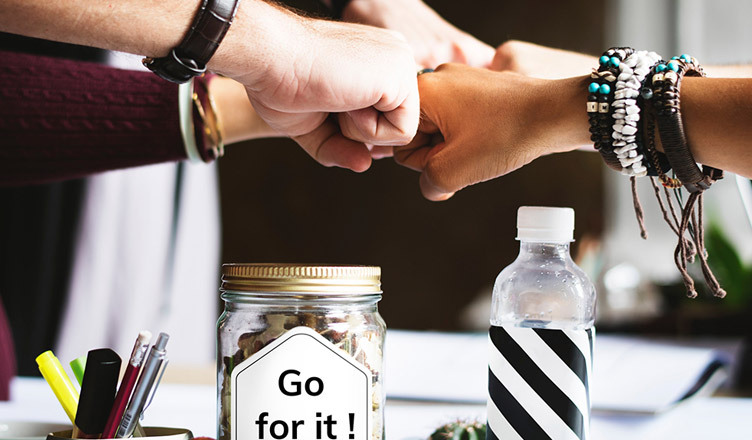 Needless to say, leaving anything to sheer luck is a horrible business practice, so here are the 5 most efficient team-building techniques that work even in the case of SMBs. A lot of people in your office have off-duty activities they enjoy. For instance, some of them participate in book clubs, others compete in sporting activities. Naturally, this is one of the ideas you can encourage your team to pursue. For instance, if there are local bars nearby that host weekly quizzes, you can make a team (or several), with substitutes and have the rest of the people in the office participate in the organization or merely accompany them as fans. The reason why so many team-building lists suggest paintball is because it perfectly emulates the high-pressure nature of the modern office. After all, the business world is not that different from a battlefield and for this reason, you need to find a way to harness the power of paintball for your own team-building efforts. This is especially handy when you have to appoint team leaders. Courage and performance under pressure are the two main traits in this position, which is definitely something paintball can help you reveal. Fortunately, many business hubs and metropolitan areas have more than an abundance of paintball fields to choose from. On the other hand, you can do something completely opposite from paintball and help your team connect in an environment that’s all but stressful. In order to organize a nearby field trip, all you need is a day off, and some basic organization. Truth be told, organizing the transportation is the biggest issue. For instance, an NSW-based company should look for a coach hire in Sydney, instead of expanding their reach, for the sake of convenience. In this way, you can use the same mean of transport for all the tours you’ve planned for the day. Safety drills, when exercised regularly, also serve as indicators of team unity. Like paintball, they can help you distinguish natural leaders, people that others look up to in moments of desperation. Sure, they might not be a perfect emulation but, when slightly altered, they do stand a chance of creating a unique team-building environment. Most people associate team building with trust games and there isn’t that much difference here. One of the simplest trust games (with the lowest risk of injury or incident) is the game mine-field, where a single person gets to walk blindfolded amongst scattered objects, with their co-workers as navigation. This doesn’t only build one’s trust levels but also helps your team members develop that much-needed coordination. Apart from this, you can go with the traditional trust fall, which is effective as a low-effort-low-risk activity that can be exercised even in the office. At the end of the day, these team-building techniques are universally available, low-cost and high-efficiency, which, on its own, makes them suitable for SMBs. The best of all is that they can be made completely in-house. Furthermore, all of the above-listed methods are scalable, which means that you will be able to rely on them, even when you start bringing more people in. Dan Miller is a Payments officer with nearly ten years of experience in banking and international payments in the Australian banking sector. He has a masters degree in finance and banking. He is married and also a father of a beautiful little girl.